Bill Kopp: It seems to me that in the old days there really was a bright dividing line between the electric and acoustic Hot Tuna. Even if you might be playing a given song in both contexts, they were pretty different. But these days it feels as if you’ve somehow reconciled the two, found that which both approaches have in common, and made that your sound. This, even though you still tour both electric and acoustic dates. Can you speak to that? 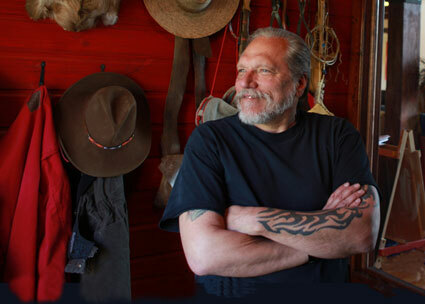 Jorma Kaukonen: That’s a great observation on your part. I’d have to say that I consider it a compliment. I think in the beginning, I don’t think we had enough…what’s the word I’m looking for…maybe a sort of musical maturity or depth to be able to pull that off. But I think that all of us – Jack [Casady] and myself, and the guys that I play with who are adults also – have spent so much time doing both of these things that we can make the music the primary focus, rather than having to modify it based on whether we’re playing acoustic or electrically. I think something else has happened over the years, too. The technology has enabled us, I think, to be able to do acoustic-sort of songs in a more electric context without having to really push the envelope of sound. JK: That’s the understatement of the century! It’s really interesting, because as you know, Jack and my buddies and I, we’ve all been in this game a long time. And one of the things I find really positively exciting is that – while we still sound like us when we do what we do, and I like to think that we’re getting better – but surrounding us, the bar is always getting raised. There are younger musicians doing stuff that would have been incomprehensible to us forty or fifty years ago. BK: And you’ve got some stellar people with you. 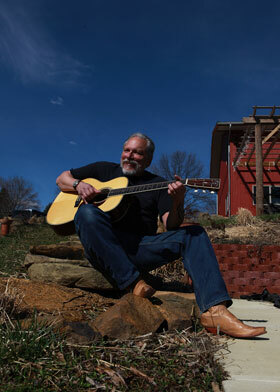 I saw you here in Asheville last Fall at the Grey Eagle with Barry Mitterhoff. Of course, on the latest Hot Tuna album it’s you and Jack, Barry, Skoota Warner and some others. As amazing as what it is that you and Jack do, it’s clear that you don’t just have some sort of phoned-in backing. What they’re doing adds a whole lot as well. JK: They bring their hearts to the gig; there’s no two ways about it. When we play with Skoota, it’s such a treat. Because he’s the greatest. And Barry, y’know…when you get Barry, it’s like a quadruple-threat. Not only does he play all these different instruments, but his musical sensibility — the stuff that he loves – really covers a wide gamut. So when he’s playing Brazilian music with his buddies who can play that kind of stuff, that’s how he sounds. When he plays traditional music, he’s totally committed to that moment. 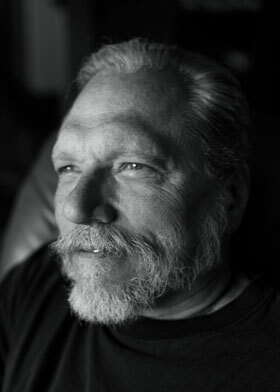 BK: When I spoke to Jack last year, he teased me about applying the label “Americana” to the sort of music Hot Tuna does, both in your original numbers and the songs you choose to cover. How do you feel about the label? Is it accurate? Helpful or detrimental? JK: Well, actually, that’s his thing. Back in the day, one of the things that made Hot Tuna difficult for the record company to deal with was the fact that we did all these things, and they didn’t have a term to cover it. In my opinion – the term Americana, obviously it’s a huge umbrella – I like it. Because when I talk with somebody like you, we mention the word Americana, and I think we both know exactly what we’re talking about. It could be electric, it could be acoustic. It could be a mixture of the two. It could be traditional music, or it could be new music that sounds like old music. It covers so much stuff. So for me, thank god we finally got a label! If you were to go to a record store – I know they hardly have those any more – and look for something under Americana, you know what you’re gonna get. BK: And you’re right. It is a sort of shorthand to let people know what we’re talking about. But it also is a pretty big umbrella. I noticed that the Americana Music Conference in Nashville every September now sort of includes soul, gospel, blues and r&b. Which makes a sort of sense, really. I think the term implies more a sensibility than a particular style, perhaps. But yeah, I agree. Gospel, r&b: how could those not be Americana? From the point of view of us knowing what we’re talking about, it makes perfect sense. But from the point of view of giving awards, however, it makes things tough for everybody. But we didn’t get in the game for awards anyway, so…so be it.